…many times, for me, praying is focused on listening. In fact, I would say that more than half of what constitutes my prayer life is devoted to listening rather than speaking. See, I’m provoked (there’s that word again) by Jesus’ words in John 10:27. His sheep – that’s us – listen to His voice. Another translation says “My sheep KNOW my voice.” What’s provokes me about that is the implication that we are to listen to Him, and we are supposed to know His voice! Think about that. If you were to say that you knew someone’s voice – a relative or friend, a favorite singer, a public speaker – what can you say about how that happened? How did you come to “know” their voice? Right. By LISTENING. Probably a LOT of listening. So, over the years, I have found that the most impactful, most incredible prayer times in my life almost ALWAYS were times when I was listening for His voice rather than running my mouth! Ok, perhaps you’re thinking that I’m advocating silence during prayer. Not really. The Word is very clear that we are to talk to the Lord. Psalm 142, a psalm of David, says “I cry aloud to the Lord; I lift up my voice to the Lord for mercy. I pour out before Him my complaint; before Him I tell my trouble.” Talk to the Lord? How about “lift up my voice”, “cry out”, “shout”? Those are words you often see in the bible. And yes, those are prayers! 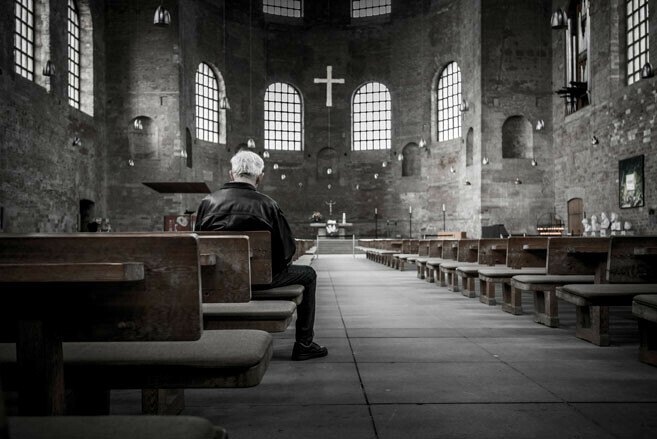 We stoic Germanic Lutherans typically aren’t very effusive with our prayers or our praise. But David – a man after God’s own heart – had no problem lifting his voice. And I really, truly admire David and want to worship and pray like he did. So I’m not advocating silence. In fact, when you pray aloud, I’d advocate that you be bold and loud! So then what am I saying? I’m saying that if you’re prayer life primarily consists of you doing the talking, you’re missing out on something fantastic! I have a habit of saying, “Listening is an activity.” I tell that to my students, my children, my worship teams. Because listening is different than hearing. Hearing is something most of us do without thinking about it. Stop and listen around you now. You can hear all kinds of things, most of which goes by largely unnoticed. But listening. It takes concentration. It requires interaction. It occupies part of your mind. And that takes effort. But if you’re talking, typically you’re not listening. The bible tells us that God knows what we need before we can even utter it; that He hears the groans of our spirit. And while it is good to take David’s example, lift up your voice, tell God what’s on your heart and what’s on your mind, it is also good to “be still, and know that I am God” (Psalm 46:10a). So this week I want to encourage you to pray. But pray like maybe you’ve never done before. Spend a few minutes with God and actively listen. Don’t give him your laundry list, and don’t give up if you don’t hear anything right away. Keep trying. Keep listening. His sheep listen to His voice.